Window dressings, in addition to looking great and finishing a room, are also extremely practical. 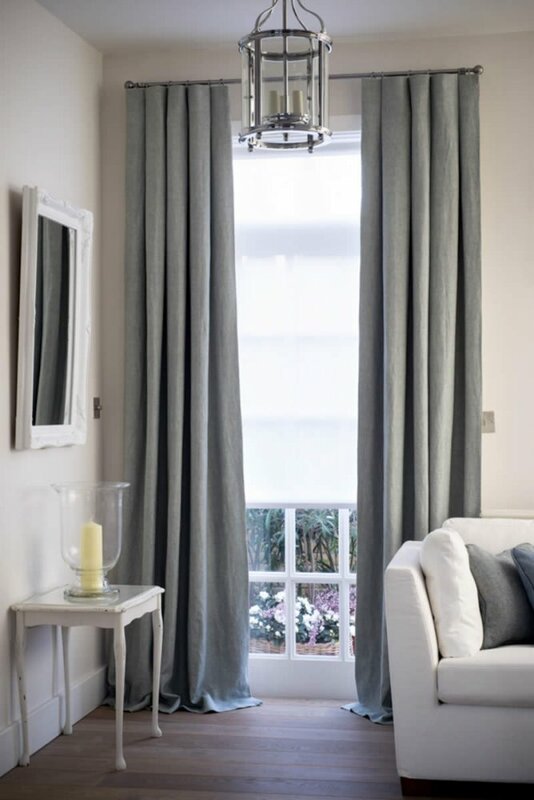 One of my favourite choices to dress a window are sheers – curtains that are simple and unlined that you can just see through when the light shines on them. Sheers can look contemporary or more classic depending on the fabric and heading that you select. I have lots of ideas and advice to give you here. The amount of natural daylight that a space receives has a huge impact on an interior decorating scheme. Real estate agents will impress upon buyers the appeal of expansive bi-fold doors to the outside or the beauty of rooms with a dual aspect. Windows and doors are of course absolutely integral to the look and function of a room both from the outside and inside, but of course you have all these fabulous windows and doors but what to do with them? This is a question I am so often asked. Daylight is wonderful but regulating the temperature and controlling damaging UV light can present a problem and one of the smartest solutions are the use of sheers. The finishing touch – why is it so important? Finishing touches can make or break a decorating scheme and I find that it is often not until you add them to a space that you realise this. What is a good room can become a great room that you love to spend time in, just by paying attention to how to finish a space. So before jumping onto the next interior project, assess a room you have decorated to see what may be lacking. 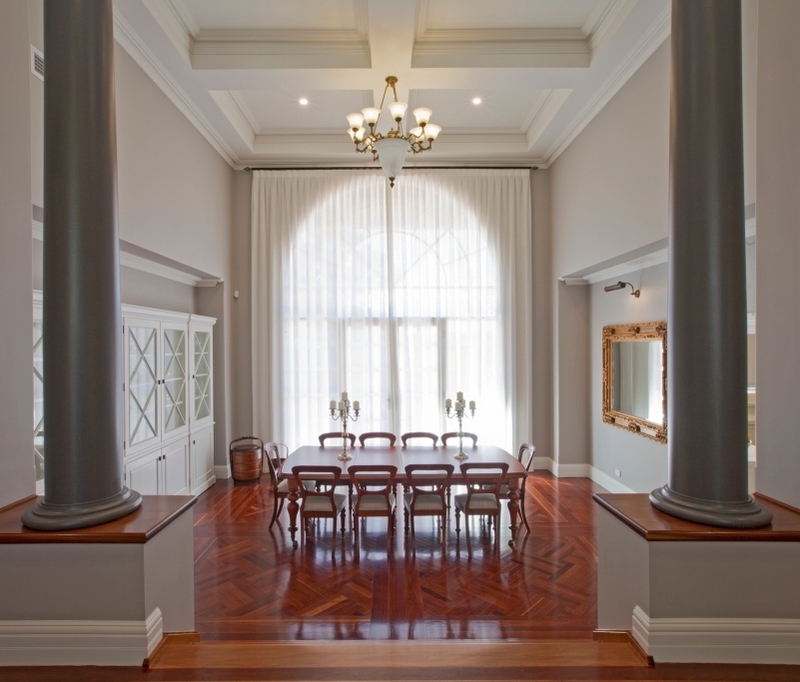 A recent project that I worked on had the most magnificent arched feature window but the heat and light at certain times of the day were fierce. By using these elegant 100% natural linen sheers, we were able to block out the heat without compromising on the light. The sheers can then be drawn back on a gloomy day or when the sun changes position, giving the client the best of both options. Absolutely not!! 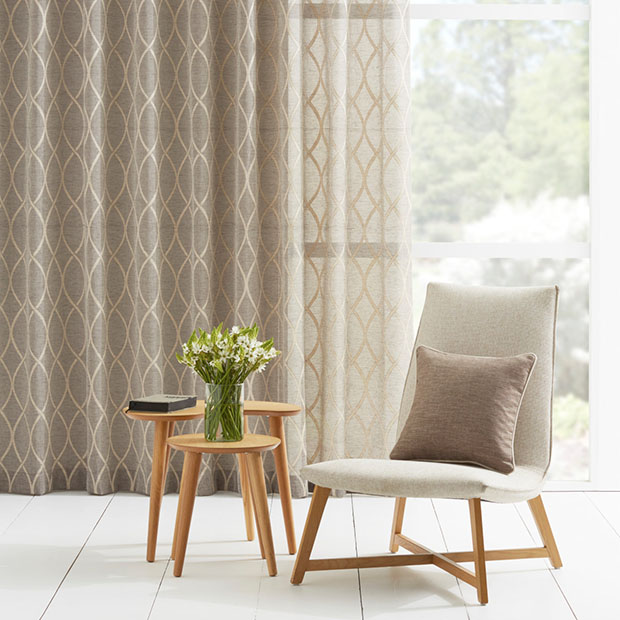 Curtains now come in many guises and are equally at home in an elegant country style house or an ultra-contemporary loft conversion. You just need to select the right style, heading and fabric to achieve a myriad of looks that will complete the look of the room, frame your windows and doors and provide you with heat and cold protection. This is where sheer curtains come into their own. They can come in a soft, lightweight linen, polyester or a mix of the two for a more contemporary style. Sheers are transparent, some more so than others, diaphanous and flowing. They can be draped along the floor for a billowing, overstated effect or simply skimming the surface for a more tailored approach. 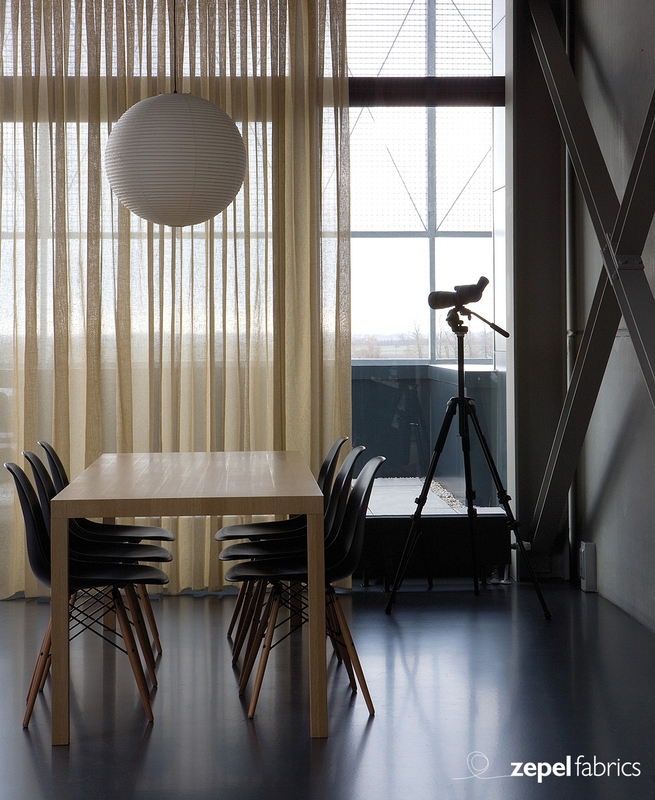 Sheers are so adaptable and can be used by themselves to simply frame a window and add that all important finishing touch, softly diffusing the daylight to bring some comfort to a room when drawn. If you require more privacy then you can add layers either with a blockout fabric on a dual heading that can be drawn separately or you can install simple blockout blinds into the reveal. A more classic approach to sheers? 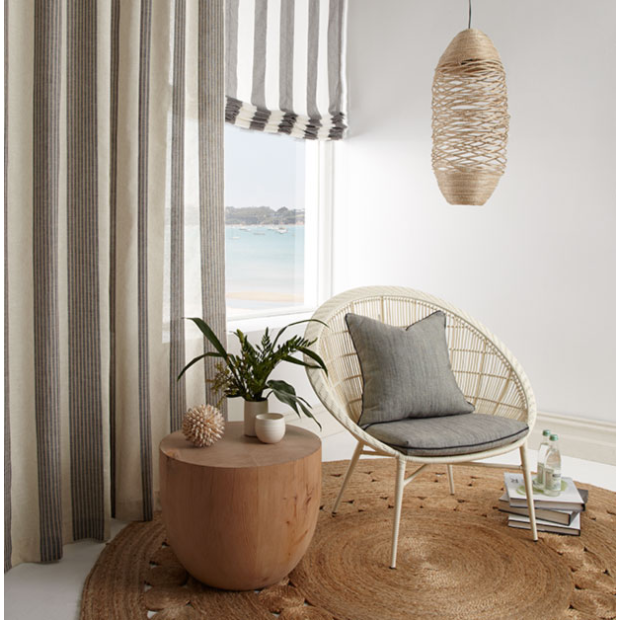 So you love sheers but want a more classic feel – then you should opt for a simple lightweight unlined linen that will be transparent but slightly more formal than straight synthetic and consider partnering them with bamboo blinds or a patterned fabric blind to soften the look. To successfully pull this off, sheer curtains need to be very generous or the look can be mean. The whole point is for them to be flowing and you will therefore need at least double the width, if not two point five times to achieve a look that is fluid. The wave track or S track creates a smooth contemporary finish and the curtains will stack back neatly without any obvious heading. 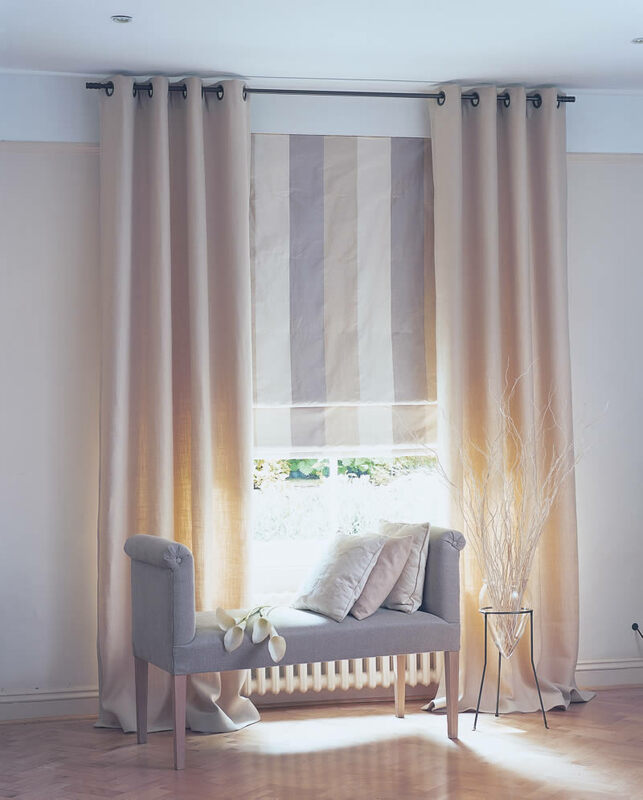 An inverted pleat or box heading also works well but is a touch more formal, however the curtains can be pushed back even further with this type of heading which is useful to remember if you don’t have a lot of wall space to the side of your window or door. 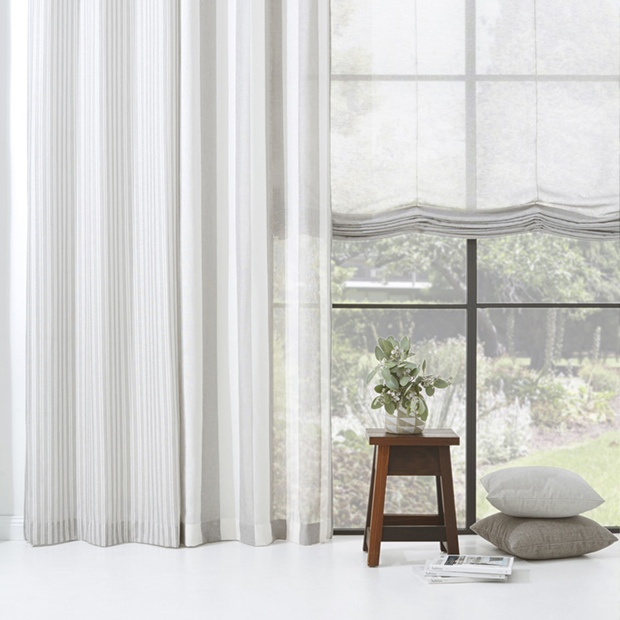 Sheer curtains can be made to look prettier with a more traditional heading, for example a double pinch pleat from a simple metal rod or even a subtle eyelet solution. The S Wave heading shown above is perfect for a contemporary style look for sheers. This heading system can be placed above the window or on the ceiling. The track and heading you choose is important – consider how the curtains will fall and the look you want to create. Do you want to make a feature of the track, for example a black iron rod or do you want a wave track, cleverly hidden behind a built in bulk head? 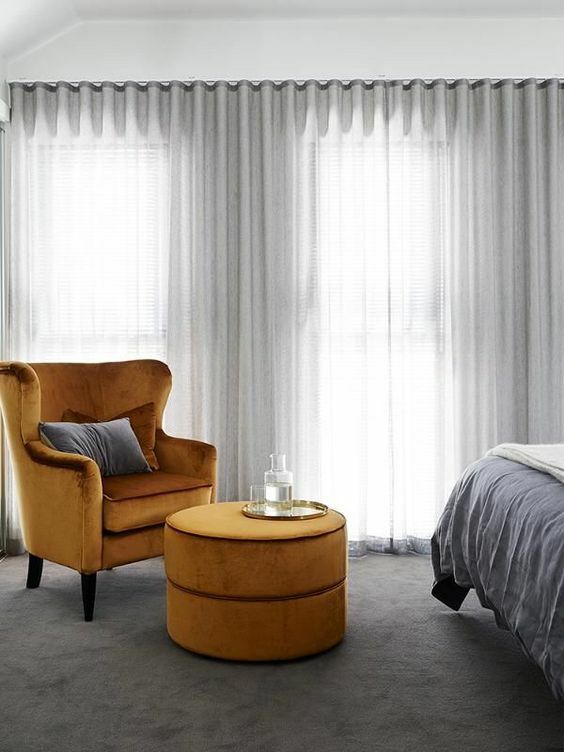 Consider the colour – naturals work well for sheers but you can add a touch of understated colour. Remember to view the fabric sample against a wall to see the colour it will be at night time and in the sunlight to ensure you like both effects. Any type of curtain looks best with a long drop so if the top of your window is not particularly high, consider fixing the rod or track 15-20cm above the window to give you that extra length. There is no rule that says that curtains tracks should be fitted at window height.